MIAMI, March 26, 2018 /PRNewswire/ -- #TheBladress: one girl skates across the U.S. (from Miami to Los Angeles to Chicago) with no money, is a mission set out by 23-year-old Yanise Ho. Through the act of kindness by complete strangers, she manages to get hosted and fed every day without having to spend one dollar. She is documenting the stories of service on social media. Yanise also created #TheBladress scholarship to fundraise for One Girl Can, a non-profit organization, to fund girls' education in Kenya and Uganda. While using her physical ability to reach her goal, she wants to set an example that anything is possible through faith in human kindness. Through inspiring people to care for and trust one another as well as setting an example to challenge a world record, the narrative can change from one girl can't to one girl CAN. Yanise is a 23-year-old long distance rollerblader and passionate human rights and happiness advocate. Born and raised in Hong Kong, she has spent the past six years studying and working, traveling as a one-girl band everywhere from Italy, to Central America, to Canada and the United States, gaining proficiency in five languages. At 21, she created #TheBladress project and Inline skates have become her means of transportation as she advocates for love, kindness, and girl power. Yanise picked up her first pair of inline skates in 2016 and became self-taught. Within two months she had gone from a bruised up novice skater with ten stitches in her scalp, to participating in a full-length inline skate marathon in Minnesota. 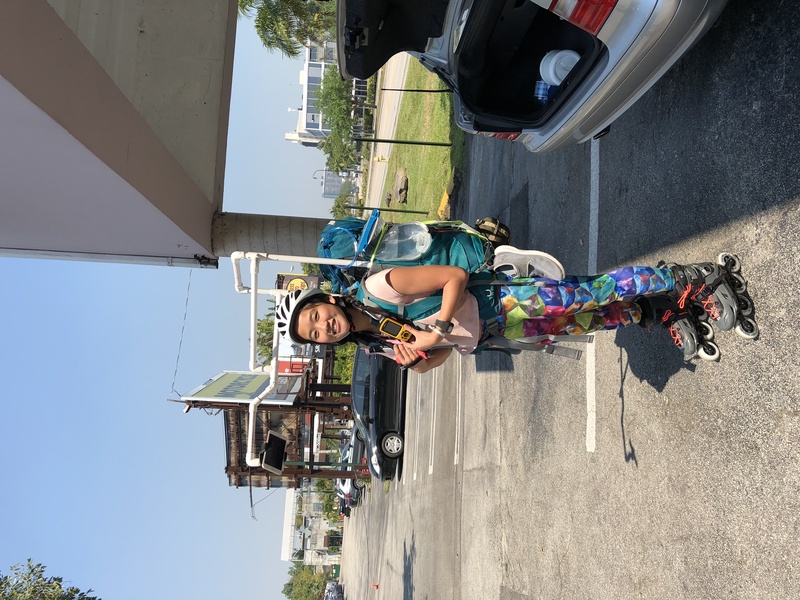 In November 2016, she rollerbladed 550 miles from Savannah, Georgia to Miami, Florida in 19 days without carrying or spending any money. She relied only on the kindness of complete strangers she met along the way to feed and host her. One Girl Can is a non-profit organization with a mission to empower girls through education to break the cycle of poverty and gender inequality in Kenya and Uganda. Through building schools and offering continuous support, One Girl Can provides girls with a safe and well-equipped learning environment to thrive. Girls with the greatest need and highest potential are provided with secondary school and university scholarships, as education past an elementary level is not free in these countries. One Girl Can and a volunteer team of professional African women also empower girls to achieve their potential through mentoring programs and workshops. 100% of donations made to One Girl Can go directly to their projects, eradicating poverty and gender inequality one girl at a time. Yanise aims to raise $60,000 to fight against gender inequality. All proceeds raised will go to benefit One Girl Can. Every $500 raised through #TheBladress Scholarship will fund a girl through secondary school for one year. Yanise's ultimate target of $60,000 will fund high school scholarships for 120 girls!